Grandmaster WAN Kam Leung (溫鑑良) was born in 1945 in Po On village in the Guangdong Province of Southern China. His interest in Martial Arts began at an early age and by his teens he experienced various traditional styles of Kung Fu in China. In 1959, Grandmaster Wan emigrated from China to Hong Kong. His older brother introduced him to a Kung Fu style called Wing Chun. Grandmaster Wan's first teacher was YIP Man's first disciple, LEUNG Sheung. In 1962, when the Wing Chun legend, late Grandmaster WONG Shun Leung, opened his own school, the young Grandmaster Wan signed up on the first day and quickly become a close friend of Wong Shun Leung. In 1969, Grandmaster Wan became an official Wing Chun instructor in his own right and began active teaching. Since late Grandmaster Wong was a close friend and Wing Chun tutor of the great Bruce Lee, young Grandmaster Wan trained and exchanged martial arts knowledge with Bruce Lee when the actor returned to Hong Kong from America. The martial art talents became friends. At Bruce Lee's request, Grandmaster Wan was invited to perform in a screen test with him, a few months before he passed away in 1973. 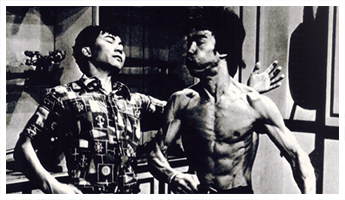 Since then, Grandmaster Wan has been interviewed for several documentaries on Bruce Lee's life. In 1979, in order to increase the practicality of his Wing Chun Kung Fu skills, Grandmaster Wan went to Beijing, China's capital where he learned different styles of Qi Gong (Hei Kung) from various masters. Since the Wing Chun forms were developed hundreds of years ago, many techniques have been misinterpreted and become obsolete. Under his teacher's guidance and support, Grandmaster Wan continued to test, compare, and improved the techniques he learned. In 1988, Grandmaster Wan was awarded the “Senior Instructor Certificate” by Grandmaster Wong Shun Leung, he was the only Wong Shun Leung student achieved such rank. With his outstanding Wing Chun Kung Fu skills, Grandmaster Wan was invited by the Hong Kong Police Force as the Chief Wing Chun Instructor for the G4 (VIP Protection Unit) in 1993. He was the only Kung Fu master ever employed by the former British Hong Kong government. Since Grandmaster has modified the Wing Chun techniques he previously learned, it was necessary to give this modified Wing Chun system a name in order to separate his style from others. With Grandmaster Wong Shun Leung's consent, Grandmaster Wan chose “Practical Wing Chun” in 1994 as the nameplate of the Wing Chun Kung Fu system he developed. After his teacher passed away in 1997, Grandmaster Wan established his own school and began teaching full time. His objective is to propagate Practical Wing Chun Kung Fu and emphasize that it is has been modified into a modern day practical combating art and the effective way to increase strength, self-confidence and all round positive health development. 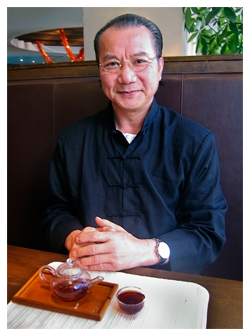 A President's Council Award winner, a former college professor, and an internationally recognized martial arts educator, Master William Kwok (郭威賢)'s experience has earned him high accolades that demonstrate his dedication to enhancing the lives of others in the American public as well as to the Chinese community and Western society. Master Kwok was raised in Hong Kong and began martial arts training at seven years old. He is Practical Wing Chun Kung Fu founder Grandmaster WAN Kam Leung's first Closed Door Disciple that has both completed the martial art system and taught professionally outside of Hong Kong. He is also the first Regional Director and official instructor of Wan Kam Leung Practical Wing Chun Kung Fu in America. 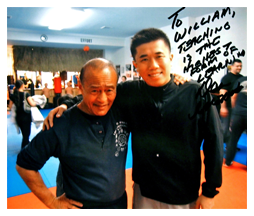 In 2007, Master Kwok established his martial arts school, Gotham Martial Arts (紐約武術學院). 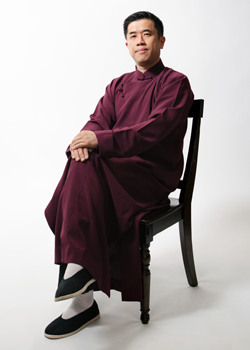 Ever since the opening of his school, Master Kwok has been profiled in numerous newspapers, periodicals and television networks. He has also served as a guest speaker on martial arts topics at prestigious universities and multinational corporations such as Harvard University, Hong Kong University of Science and Technology, and JP Morgan Chase. In addition, Master Kwok comes from a strong academic background, as of 2017 is currently pursuing a Doctor of Education degree at Northeastern University. Prior to that, he earned postgraduate degrees from Harvard University and St. John's University. He also studied movement science at Teachers College, Columbia University. Master Kwok believes that both learning and teaching methods of martial arts can be advanced based on education theories and modern science in order to reduce learning curves for students and teachers. With his extensive academic and teaching background, coupled with his current doctoral studies, Master Kwok has positioned himself to make significant contributions to the advancement and expansion of martial arts studies and teaching methods. His efforts have earned him numerous recognitions including the Community Leadership Award from the President of the United States' Council on Fitness, Sports and Nutrition; the Honor Award from the Martial Arts History Museum; and the Silver Achievement Award from the World Ving Tsun/Wing Chun Association. At Gotham Martial Arts, Master Kwok stresses the importance of martial virtues through his teachings in martial arts to both children and adults. Martial virtues refer to development of sound mind and body, high ethical standards, and kindness. These virtues stem from principles formed in traditional Chinese culture and were not only important for martial arts practice, but in many communities, they were used as the basis for society. In today's modern era of martial arts, Master Kwok strongly feels that it is important to remember these traditional roots of martial arts and always integrate them within our practice. The concept of basing communities on the principles within martial virtues, such as courtesy, integrity, perseverance, self-control, and indomitable spirit, helps create an atmosphere that deters violence and promotes peace.